So..... I thought that I was getting 5 plums in my CSA bin last week. 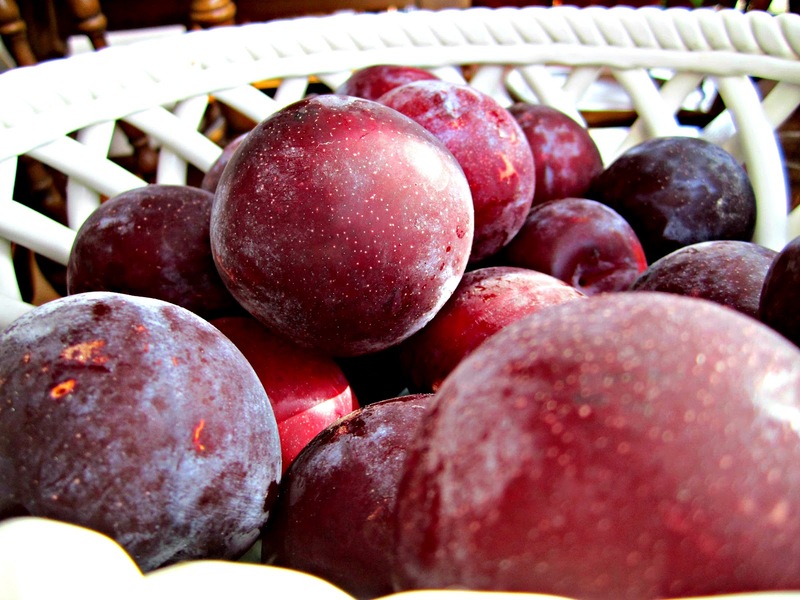 Turns out, I got 5 LBS of plums! Whoa. Whoa. What takes a ton of fruit, is super easy to make, and always turns out divine???? 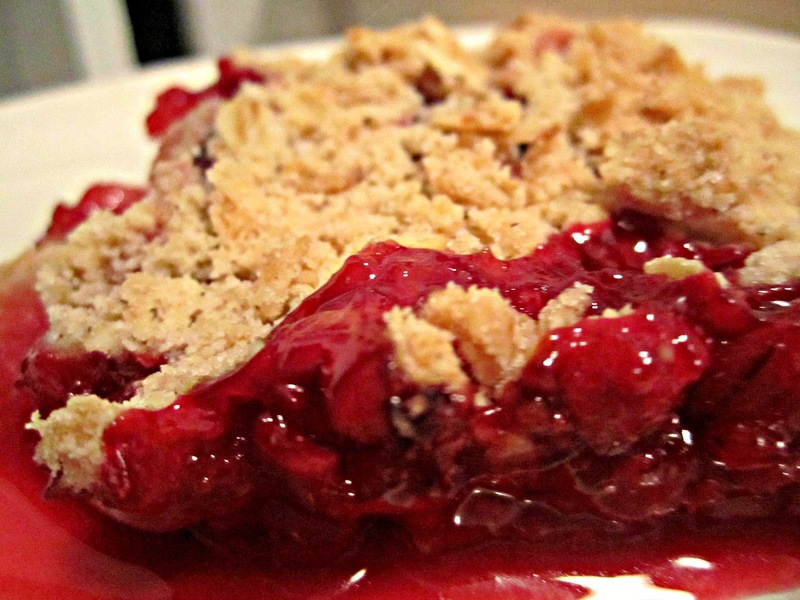 fruit crumble. 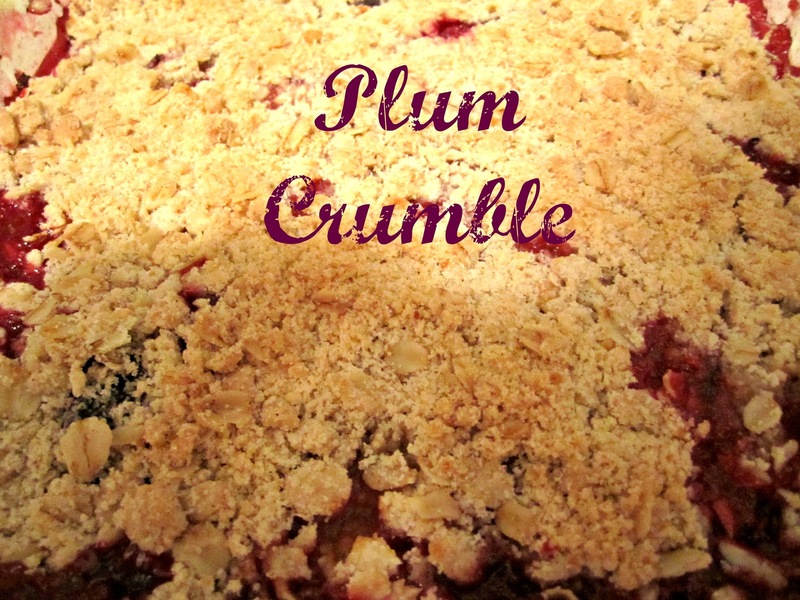 In this case, a very plummy crumble. One of my favorite things to do to fruit is bake it with some butter and rolled oats on top! You don't even really need a recipe once you've made a handful of these. Just mix some of your favorite spices in and bake! 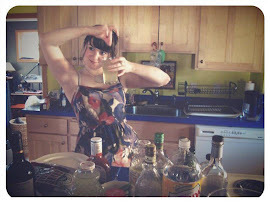 Here's the recipe, give or take, that I used for this delish dish. Makes an entire 9x13 baking dish. Takes about 1.5 hours, mostly bake time. About 2-3 pounds of plums, pitted and wedged. No need to be exact here. The more fruit, the more fruity. While that sits, toss together remaining ingredients in a bowl with your hands. Spread the topping evenly over the plums and place in the oven. Use your imagination with this if you want! Add some ginger or some nutmeg to the crumble. Or, you could add some brandy to the plum mixture. This works beautifully with pretty much any kind of berry or stone fruit. Enjoy your last rays of sunshine friends! mmmmm this sounds delish! I have to try! I love your blog btw.